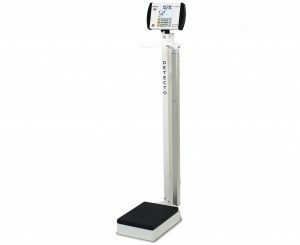 The 59″ (150 cm) high digital physician scale features the eye-level at-a-glance convenience of a battery-powered 0.5″/12.7 mm high-contrast LCD display. 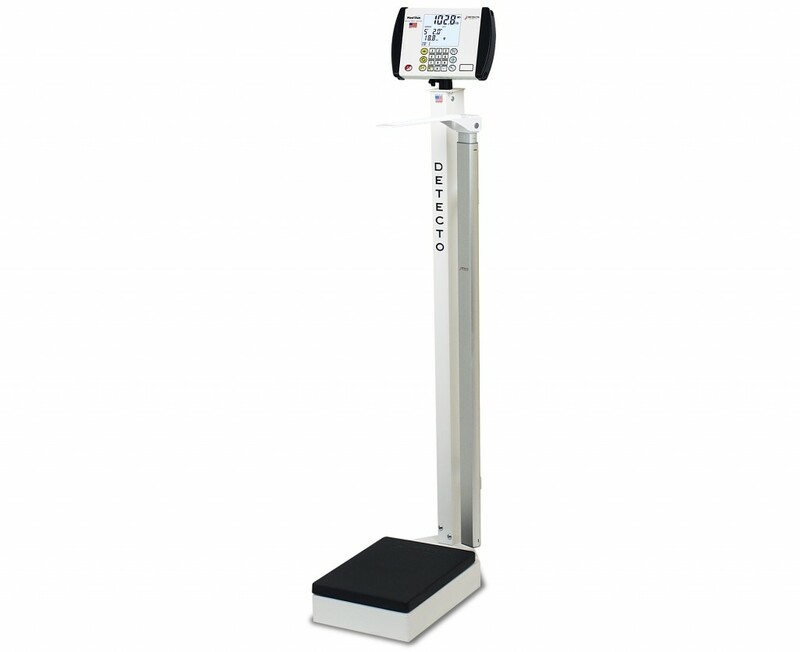 With the push of a button, readings appear in pounds OR kilograms and the weight display also calculates Body Mass Index. The 10.5″ W x 14.5″ D (27cm W x 37cm D) platform cover is easily removed for cleaning. Handpost and height rod combinations are also available. Please see the back page for different model numbers.